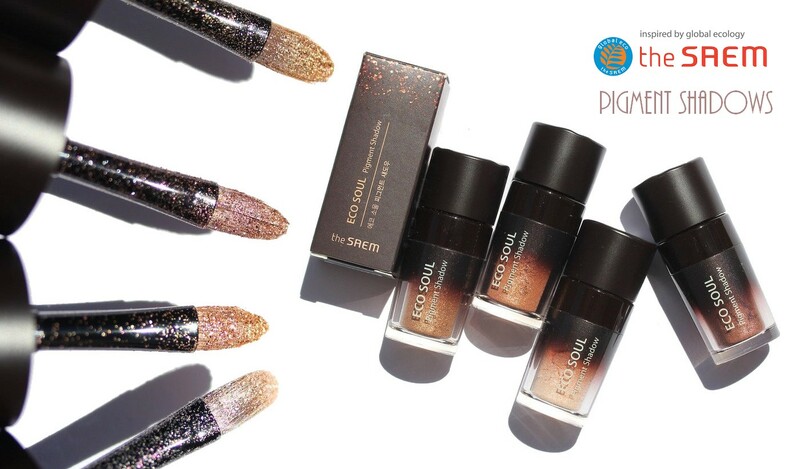 Sparkles, glitters and gorgeous pigments! Who can say no, seriously? Today I have a review of some goodies from The Saem! The Saem is a popular Korean brand but for some reason it's not as widely reviewed on international blogs as other similiarly famous Korean brands. So that's why I'm excited to share this review! 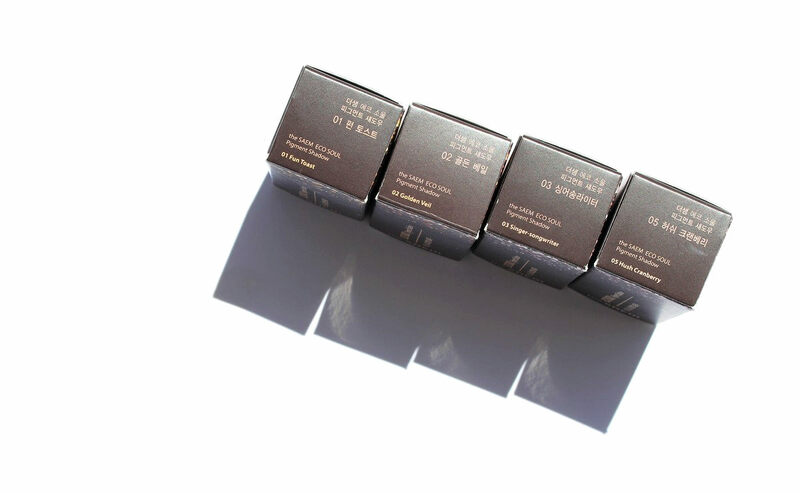 By the way, I got these shadows from Jolse.com. I'm one of their reviewers and could chose some products I wanted to review in their store. It's a store where I've bought tonnes of products for about 3 years so yes, they're reliable and you can shop safely with them. 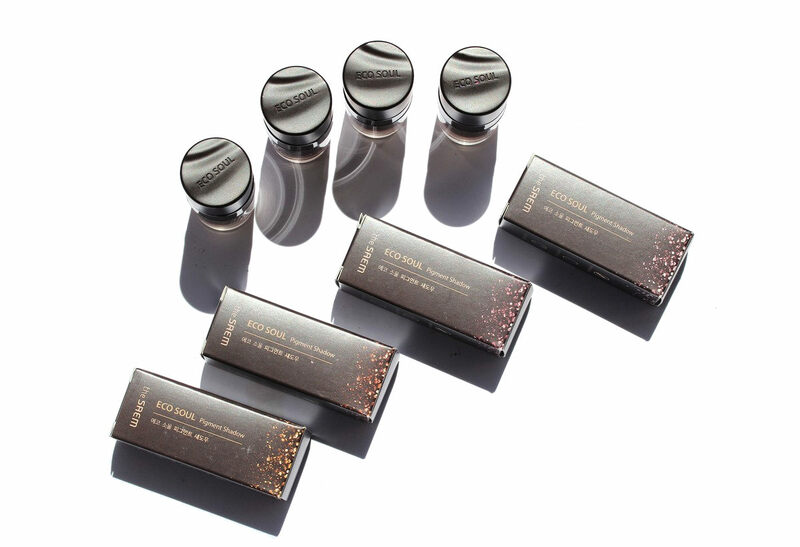 I got 4 pigments from the Saem: The SAEM Eco Soul Pigment Shadows! 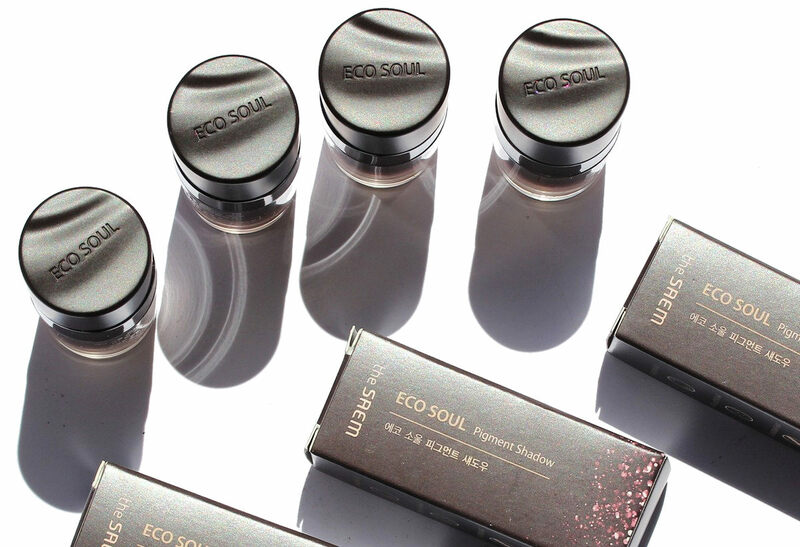 The SAEM Eco Soul Pigment Shadow (에코 소울 피그먼트 섀도우) line consists of 5 different pigments housed in a convenient container that integrates a brush. What I find also very convenient is that there is a stopper that prevents you from spilling the pigments everywhere. I love pigments but I hate traditional jars because it's so easy to get pigments everywhere and I find that so inconvenient. So that's a reason why I really love these The Saem shadows, you don't have this problem. Second thing I really like is the small brush that comes with each shadow. It makes the pigments so easy to use. Typically, I use this brush to put the pigments on my whole eyelid and then you can either blend them with your finger or with a blending brush. If you want a stronger base color, you have to apply a couple of layers or use a sticky base coat. 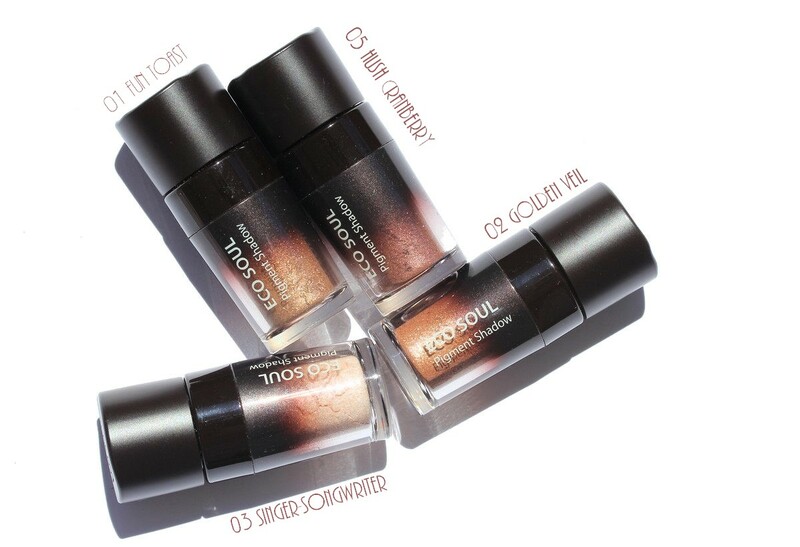 When I'm lazy and/or want to go fast in the morning, it just apply them without a primer but I get some fallout by the end of the day (some glitters under my eyes for example but I think it stays minimal). 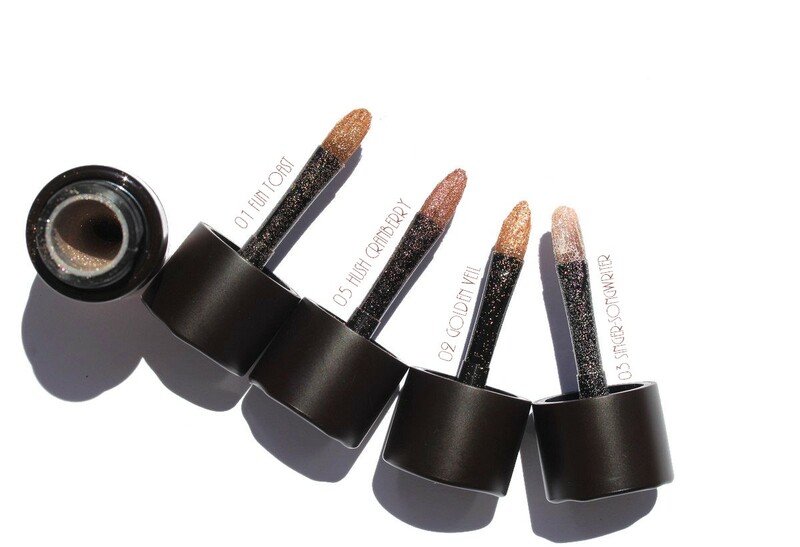 If you use a primer or a sticky base coat, they stay on pretty well and last all day with minimal fallout although I think it's difficult to avoid any fallout with glitters. 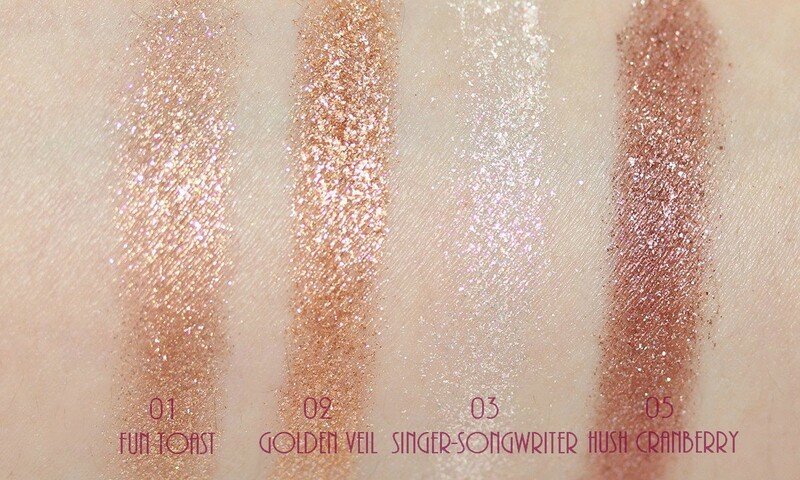 03 Singer-Songwriter has a clear base with mainly white glitters but also some pink. 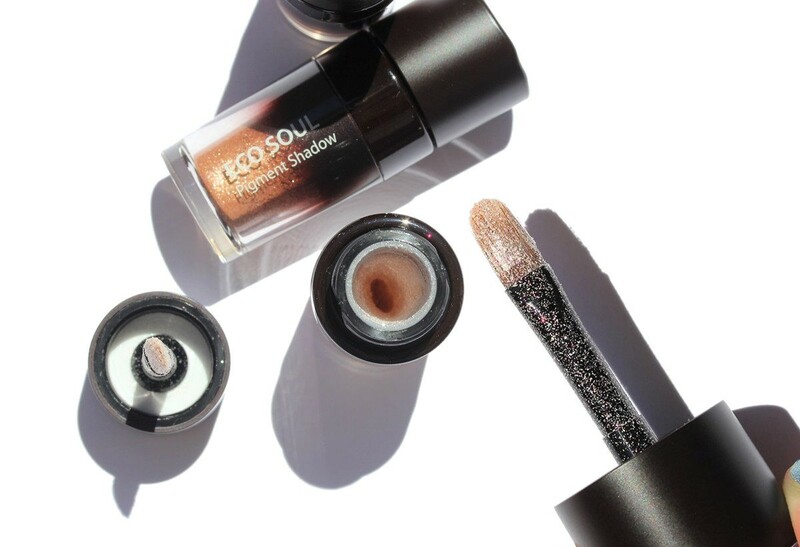 This one looks amazing in the inner corner or to highlight your aegyo-sal. 05 Hush Cranberry has a cranberry base with pink and silver glitters. I don't have 04 Melting Rose because it seems to always be out of stock. 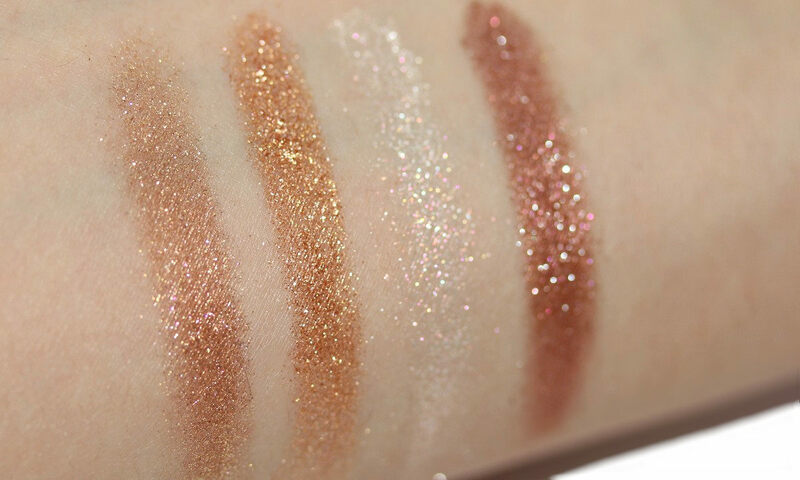 It's a rose-gold pigment. 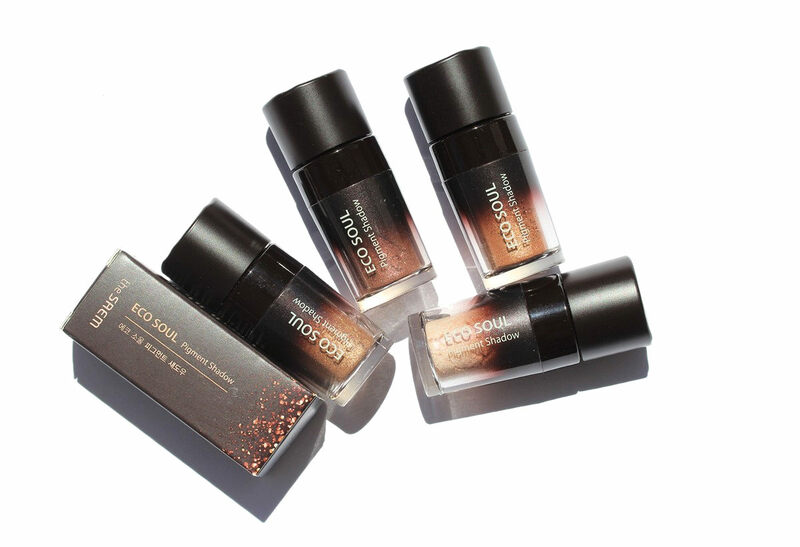 So overall I really like these pigment shadows because they're super easy to use, they're very convenient because you don't have to worry about spilling the pigments. I also love the base color and the glitter combinations. 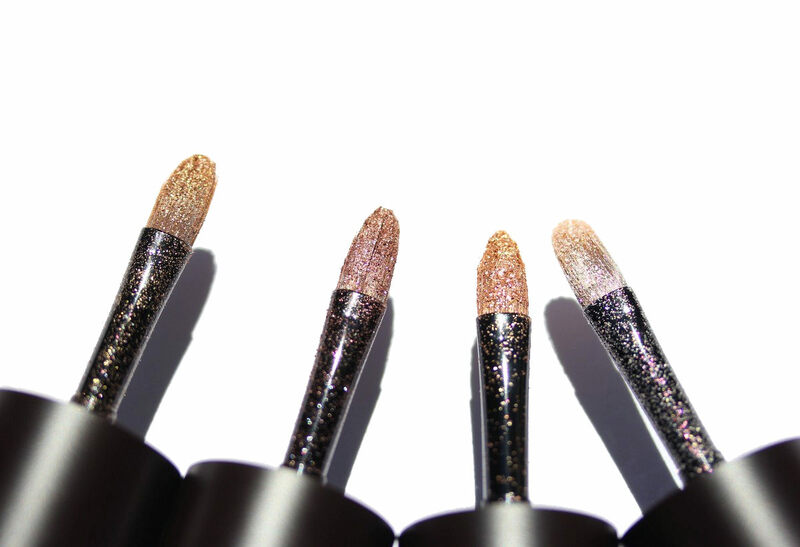 They do deliver in terms of sparkles! :D So yep, really nice products! 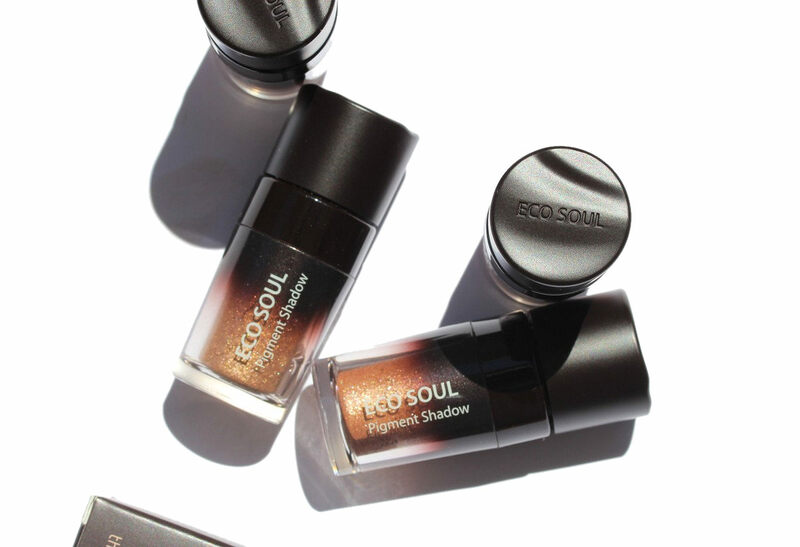 The SAEM Eco Soul Pigment Shadows can be purchased from Jolse.com (they offer free shipping and ship internationally). 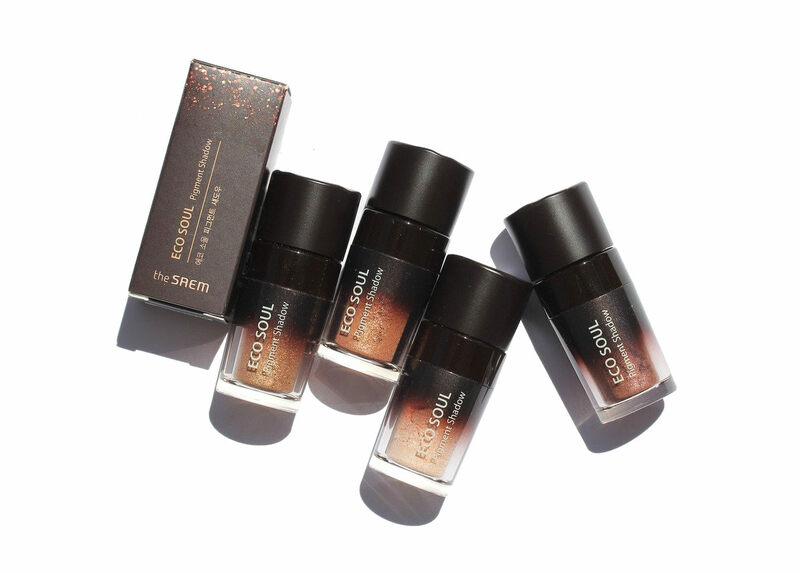 Link to the pigment shadows here (USD 10.98 per shadow but they are now USD 9.33). These look absolutely beautiful. I've never purchased this brand before. Looks interesting! Thank you ;D Happy to hear you like them! I'm trying a few other things from the brand at the moment and I also like them. It's a nice brand! Hi Melissa! The brand is a well established Korean brand but it seems not as popular as others internationally. 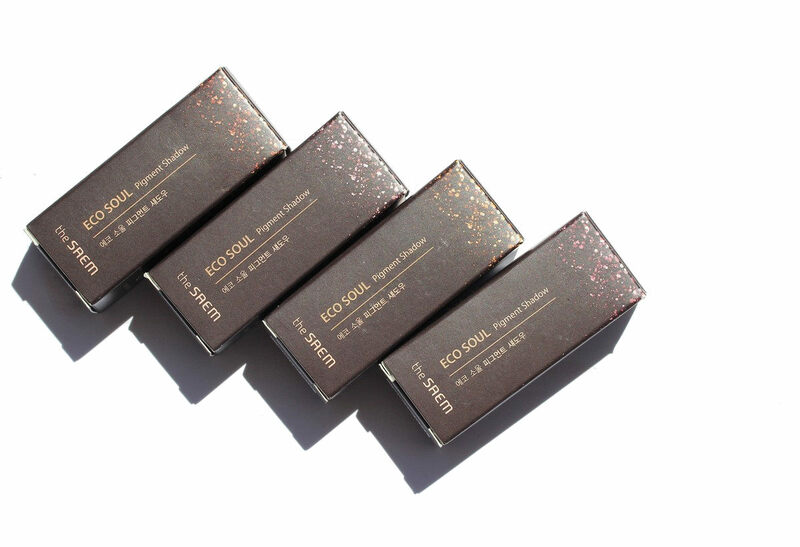 They are not the most incredibly pigmented pigments I've ever seen but you can easily layer them to get a nice coverage and the fact that they come in this type of container makes me use them so much more often that regular pigments. 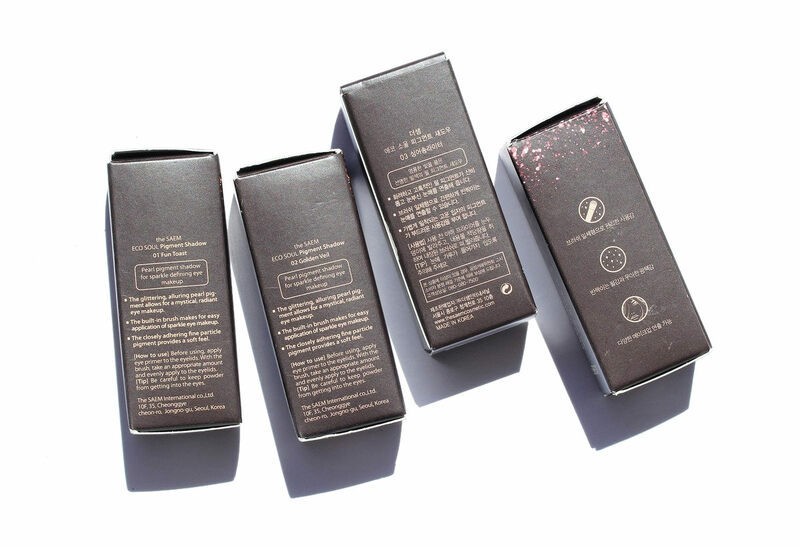 All pigments should come in such a packaging, this is 100x more convenient! Thank you. My thoughts exactly, I almost never use pigments as I always spill the jar and make a mess! aww thank you so much, dear! They look great all over the lid indeed :D Thanks!